People often think that it is enough to support low-income families with free or subsidized education for their children to succeed in school. However, the financial aspect is not the only important element of support for students. A number of conditions are necessary for children and their families to move forward with education and to emerge successfully from the experience. 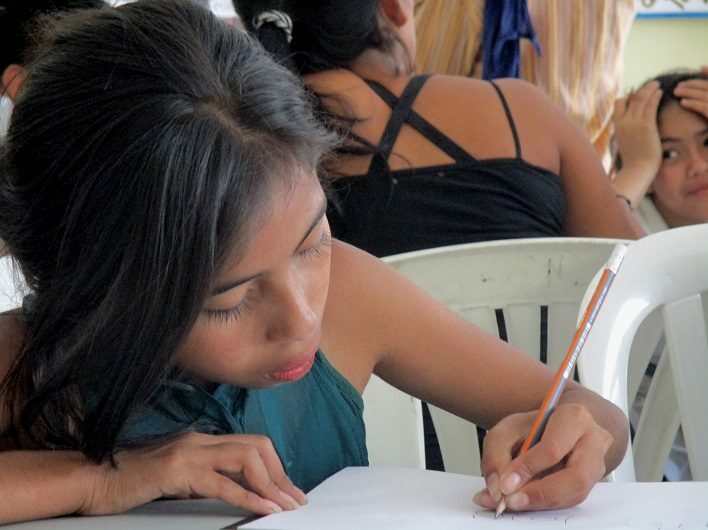 In 1999, a friend of ATD Fourth World in Guatemala arranged to fund long-term scholarships to support families she knew. She wanted to enable them to attend school regularly and succeed in their education. She asked ATD to take over the management of this project and the awarding of grants. ATD engaged Veronica to lead the project, a young woman who had worked for 15 years in this area. Through her work with members of the ATD Volunteer Corps, Veronica had built relationships of trust with parents and children in poverty. Good administrative management was not enough. The challenge of the project was to find a balance between rigor and flexibility. Everything depended on knowing what every day life was really like for families in poverty that ATD had met through other projects in the community. Supporting students required being available on a flexible basis to talk with parents. Equally important was listening carefully to what they said about their children. Parents often needed a person to talk with who would not judge them and who would value their efforts with regards to their children. Verónica gave an example: “One day Dona Roxana* asked me to talk with her son and give him advice. I could tell him about my own difficult experiences as a young person who lived in a disadvantaged community. I think I shook him up a bit and I encouraged him to reconsider things. Afterwards I saw him being much more responsible. In both these cases, the parents needed to feel that someone was on their side, supporting them. Every child and young person has a deep desire to learn. Yet they are not all equipped to face the demands of school. Verónica explained that there were times when young people came to her to talk about their dreams for the future. Not all of them wanted to continue school but they didn’t know what else they might do. During such conversations Veronica could, for example, steer them towards a technical course they might find interesting. This project shows the importance of taking into account the reality of the students’ lives in order to help them find their own path and develop independence. Veronica and the ATD Guatemala team share these goals and continue to work towards them with everyone in the education community where they live.